Baskin-Robbins Ice Cream Cones Are $1.31 On March 31, 2016 — What Better Way To Kick Off Spring Than With A Scoop Of Your Favorite Flavor? Spring has sprung, and with it come all manner of exciting new developments: Blossoms are bursting through thawing soil, new life is being welcomed into the world, and, perhaps most notably, scoops of ice cream will be just $1.31 at Baskin-Robbins on March 31, 2016. Can you think of a better way to officially kick off the season? Of course not — there is no better way. 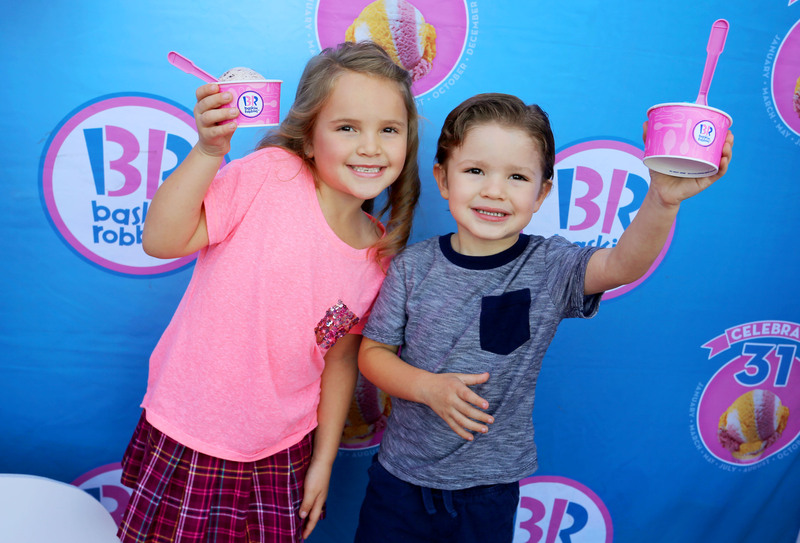 The promo comes by way of Baskin-Robbins' ongoing "Celebrate 31" promotion, through which the special pricing is offered on the 31st day of each month throughout the year. This means, of course, that you've got nine months this year (including March) to score this deal. Suh-weet! So you want details, right? First, keep in mind that waffles cones and toppings are extra, so don't get carried away creating an ice cream work of art if you aren't willing to shill out a few bucks for the additional costs. However, if you are in the mood for something a bit more elaborate than a single scoop, you might want to make a beeline for a two-scoop sundae — under the promotion, these delicious treats drop in price to only $3.31 on March 31. Since we're all now counting down the days, let's take a look at exactly how to get your hands (cones?) on some affordable scoops. Participation may vary, so you need to make sure your local Baskin-Robbins is in on the fun. There just so happen to be two Baskin-Robbins locations within a 10-mile radius of my house participating in the "Celebrate 31" promotion, so I think we all know where I'll be on the 31st of every month from now on. This could be the hardest part. How does one decide between classics, such as Pralines 'n Cream, Jamoca Almond Fudge, and Mint Chocolate Chip and seasonal favorites like Easter Egg Hunt, Bananas Foster, and Cookie Jar Mashup — the flavor of the month?! The good news continues, my friends, because this offer is good on every size scoop. Thanks be to the ice cream gods. Mmmm, ice cream. Once you're done downing this delectable and oh-so-affordable treat, go ahead and mark the date down on your calendar for next month. You.Are.Welcome.